Well, we couldn't have asked for more! After a close weather call the 2018 North Cott Splash n Dash went off without a hitch. Squeezed onto the limited beach left by cyclone Marcus, the smaller space just added to the vibe. 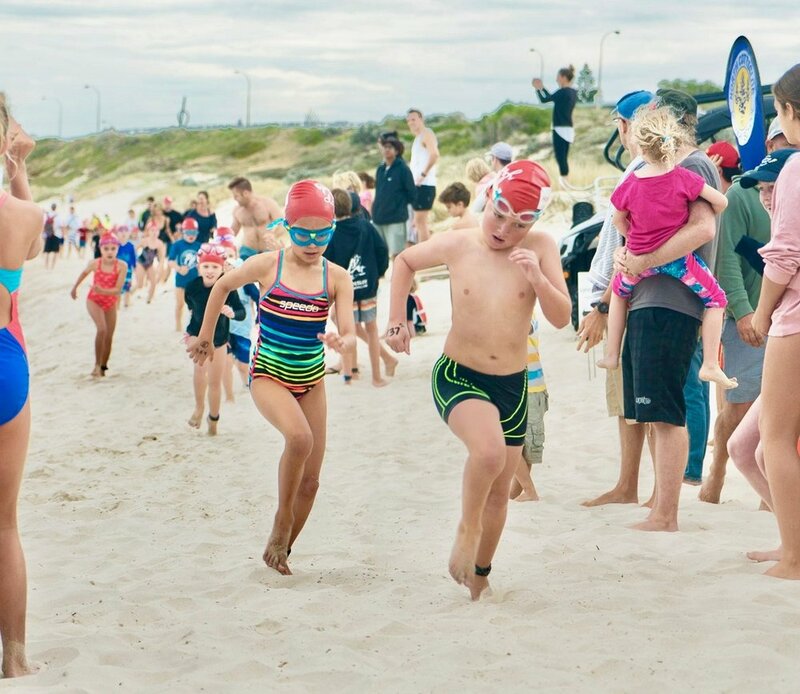 Participants young and old came from far and wide to embrace WA's newest family beach aquathlon. Congratulations to long course winners Rahul Jegatheva (men), Jaime Bowler (women) and Ceinwen and Andy Roberts (relay). And congratulations to everyone who entered because 'having a go' is what we are all about. Of course none of this would have been possible without Platinum Sponsor Humphrey Homes, Gold Sponsors GPs on Bayview and Shellabears, Silver Sponsors Multiplex and a long list of others including Cottesloe Council, North Cott Surf Life Saving Club, Triathlon WA and our Charity Partner Melanoma WA. Then of course there was our huge band of community volunteers who registered, herded, marshalled and encouraged participants, held ropes against the swell, MC'd, DJ'd, Zumba'd, set up, packed up, baked, fried and served! So with one final thanks to everyone, the Splash n Dash Team is truly chuffed with the community spirit displayed and can't wait to make it happen all over again in 2019! Who are the Good Looking Roosters? "Who are they?" we wondered........ with their eye-catching togs, good natured heckling and larrikin ways. We just had to find out. The Good Looking Roosters (or GLR for short) is a group of friends who first met while studying Exercise Physiology together. Now playing footy for Cottesloe Roosters Football Club the group has become larger and more diverse. They do not call themselves 'experienced swimmers', even though their biggest accomplishment is swimming the Rottnest Channel Swim. 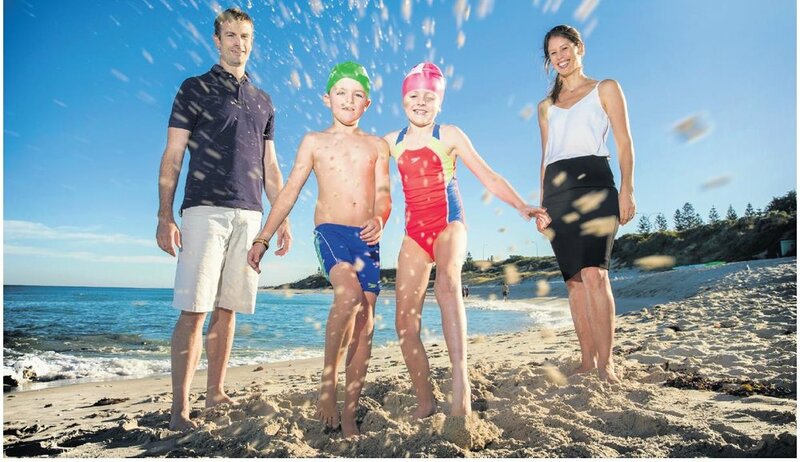 With footy on their mind they say that swimming is all just a bit of fun, but we know better than that. Fun and competition go hand in hand with these larrikins. GLR’s Matt Jones came across the event and upon suggesting it to his friends they decided that they had to get involved. Fellow GLR Nic Wroe thought it looked like a good event: “not too far of a swim/run but still a good distance, plus I really wanted to beat the guys as we are quite a competitive bunch.” And so it came about that Matt, Nic, Mike, Beau and Alix entered the race.